The long wait is over as FUJIFILM, one of the world’s best regarded camera brands unveils two new powerful and superior camera lines only days after their Japan launch – FUJIFILM X-Pro2 premium interchangeable lens camera and the more compact FUJIFILM X70. The worldwide launch was led by FUJIFILM Corporation President Shigehiro Nakajima and FUJIFILM executives in Tokyo, Japan. The Philippine launch was held last January 21 at Discovery Suites in Ortigas. Before social networking sites became popular, people preserved memories by capturing important milestones, family traditions, and every little discovery and printing these photos. In every household, you would find family albums, tomes of snaps in hard copies, lifetimes’ worth of printed memories. 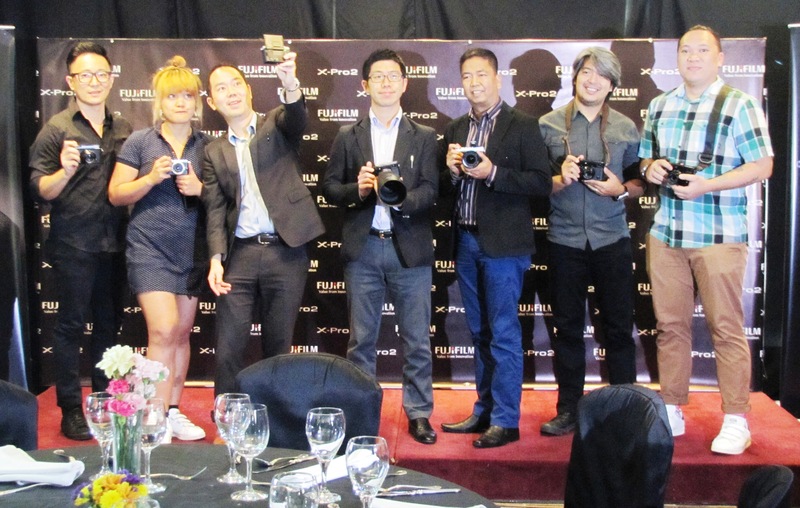 FUJIFILM, revived the habit of printing photographs by launching the first Wonder Photo Shop, a photography and printing store originated in Tokyo, in the Philippines at the Ayala-U.P. Town Center. 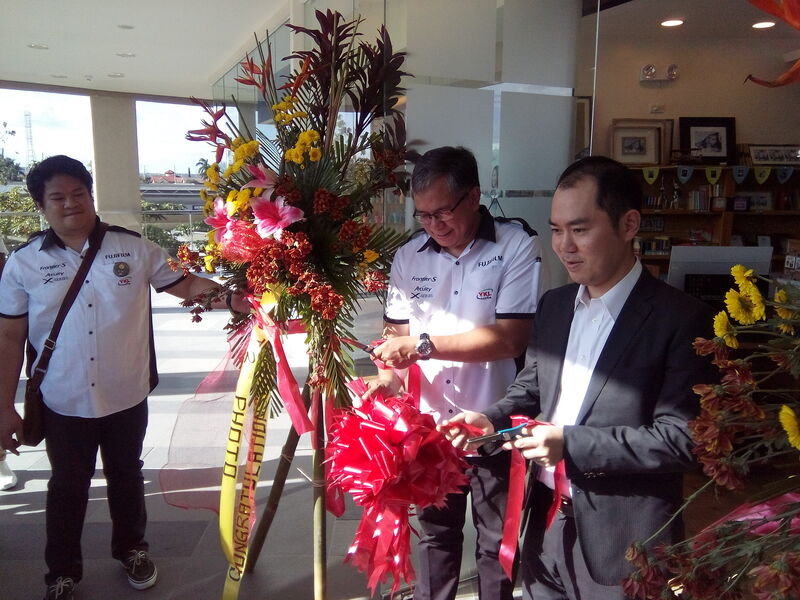 After the highly successful pilot, FUJIFIM now launches its second branch in NUVALI. Being the number one country that loves to take photos, the Philippines was an easy choice for the famed photographic brand. Established in 1934, FUJIFILM Corporation is the first Japanese producer of photographic films. In the decades that followed, the company diversified into other markets. The company has survived and thrived even in the era of digital photography by focusing on the user experience. A fun, enjoyable, multi-pronged experience is what awaits the public at Wonder Photo Shop in the Philippines. Part store, part print center, and part workshop hub, Wonder Photo Shop is a one-stop boutique and learning center that offers an array of products and services: a Selfie Studio, where customers can delight in taking and printing complex photos; printing services with high-quality professional paper, photobook service, WPS (Wonder Print Station) kiosk printer, which provides a variety of quick photo printing; photo accessories such as washi tapes, fancy photo albums, photo frames and stickers and Fujifilm Instax and digital cameras. Customers can print on different materials like glass, cork boards, sintra boards, wood boards and canvasses. There are also the much-anticipated complex prints. In the age of selfies, the process of actually printing a photo for younger generations has become a tedious chore. The Wonder Photo Shop embraces the so-called selfie generation and brings back excitement to the art of photo printing by giving it a fresh, young, trendy take. Filipinos are a sentimental lot. They love chronicling moments in their lives spent with family, friends, and loved ones. They take pleasure in looking at and sharing to the world snaps taken during a child’s graduation day, an office outing, a relative’s birthday, their many travels, a dinner date with one’s spouse. These photographs serve as mementos that remind us of days well spent, challenges met head-on, friendships forged along the way. And nothing beats having these memories printed bursting with colors on vivid prints. With the Wonder Photo Shop, the task of printing memories becomes a communal activity where everyone we hold dear can take a part in.